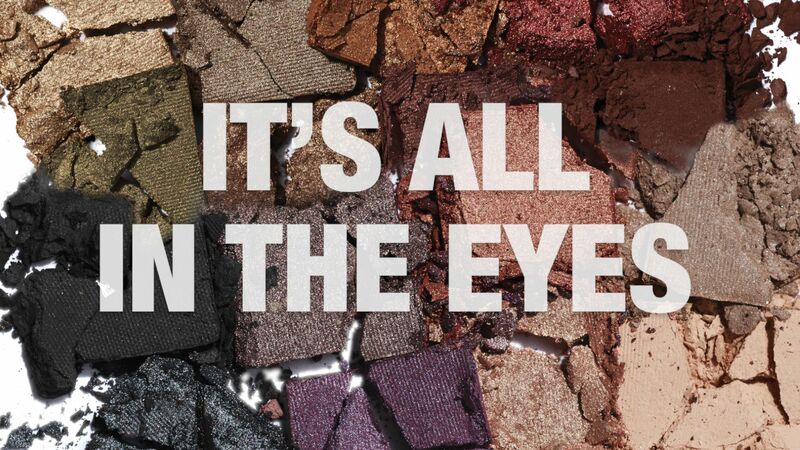 Play up your best feature with colourful shades and eye enhancing products that beautify, luminise and define. Our specially curated 12-shadow palettes boast better-than-ever velvety feel and botanicals like cucumber extract and sunflower seed oil to condition the eyelid for smoother application. Volume 1 features colours inspired by earthy terrains while Volume 2 offers pops of gemstone-inspired shades. Draw the line at fabulous. This thin felt tip brush with long handle lets you start slow for a simple line or build for a dramatic cat eye flick. Longwearing and smudge proof, this liner applies smoothly and precisely for effortless application. You’re primed for perfection with this creamy, conditioning formula. Water resistant primer helps prevent shadows from creasing or fading, allowing colour to pop, while tensing the look of skin for a more lifted appearance. Jambu flower extract helps diminish the appearance of wrinkles and smooth the canvas for crease free wear. Life is an epic tale — start telling it with your eyes. High performance lengthening mascara helps create the look of ultra dramatic lashes with major longitude. Clinically tested and formulated to be water resistant and longwearing. Eye Makeup Remover In the blink of an eye, this dual-action, non-irritating formula easily wipes away all traces of eye makeup while hydrating and soothing the delicate skin around the eyes. Smoky or subtle, this creamy, longwearing pencil won’t feather or bleed. The larger crayon glides across skin without skipping or pulling. Moisturizing botanicals help support skin’s moisture barrier and help promote the appearance of fuller lashes. Sharpener contained in the end! Building a better shape is easy with these longwearing, smudge-proof brow pencils. With larch & green tea complex to help brows look fuller, this retractable pencil comes in three natural-looking shades to match all hair colors and tones. Paired with a brow brush, our formula is easily blended into overarching excellence. Raise a brow for this buildable, waterresistant, smudge-proof cream with larch & green tea complex to help brows look fuller. Choose from two naturallooking shades to tame and tint unruly brows. Formula glides on smoothly for a natural feel. Specially designed mini brush ensures controlled application. You love everything in its place. Clear, lightweight gel keeps flyaway hairs in place and helps shape and define brows. Fresh from Arbonne's GTC 2013, introducing It's A Long Story Mascara. High-performance lengthening mascara helps create the look of ultra-dramatic lashes with major longitude.